No matter what industry you work in or manage, having all of your employees know how to effectively use a fire extinguisher could be the difference between life and death. It can also save you thousands in property and equipment value. A call to 911 or emergency services doesn’t get the fire department to the location immediately, so if a fire bursts out, do you have a fire plan? Do your employees know how to use the fire equipment? What’s the exit plan for customers? These are things that need to be planned and practiced. With our new Pyrosoft Flameware software and training kit, you and your team can learn fire safety and get to practice in a virtual environment. 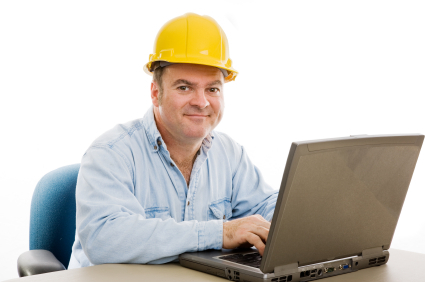 Our fire safety training software meets local, national, OSHA and ISO 14001 fire safety training requirements. Using the Pyrosoft Flameware software replaces the need to have a fabricated fire, decreasing chances of an accidental injury or any environmental damage. We have all sorts of classes for anyone on most any budget. If you’re already spending money on meeting fire regulations, why wouldn’t you invest in making sure you and your staff know how to handle an incident if there is one? Fire extinguishers are effective in putting out small fires before they become too large, harming your staff, customers, equipment and other property. With our setup, you can launch a fire training class that lets people come at their availability during a day, learn practical training moves, like the correct way to deploy a fire extinguisher and the proper “sweeping” motion required to effectively put out small fires. Fire Scene Size – One size of display simply can’t satisfy every need. Choose from a family of 8 models to select the best fit from small office applications right up to very large custom simulators that can serve an auditorium full of students. Preloaded Fire Scenes – One fire played repeatedly also can’t satisfy every need. Our simulator arrives with 4 preloaded stock fire scenes filmed at the Ansul fire training school, in Wisconsin. You are ready to train with any or all of them as soon as the box is opened. Lifelike Full Colour Flames – All our fires feature videos of actual flames. Our flames have the colour, texture, hue and other lifelike qualities of real fire because they are real fire played at 30 frames per second. Dual Displays – With any fire training, the instructor’s needs differ from the student’s so we give them their own dedicated displays. The instructor can change difficulty settings, select a different fire and a host of other adjustments while the students are presented with the next fire scene or in the case of our classroom module with PowerPoint slides. Multimedia Capable – While practical hands-on fire training is very important it is only half the training. The other half is the vital theory explaining the classes of fire, types of extinguishers, fire prevention measures etc. What better way to present that training than on a large multimedia centre capable of displaying PowerPoint, video and audio files or internet material? All Pyrosoft simulators inherit this advantage so the students move from the classroom to the fire training ground without ever leaving their chair. Agent Application – We believe many students tend to aim too high directing the agent into the flames. A better technique is to aim just ahead of the fire so the agent hits the ground dispersing the stream into finer particles, widening the footprint of the agent and insuring good front edge coverage all without disturbing the burning material. We insure our simulator display screens reach right to the floor. That way the student can aim on the floor ahead of the screen and achieve excellent results. Nozzle Valve Position — In live fire training many students are unaware they are not sufficiently opening the extinguisher valve. We recognize this and include a sensor under the extinguisher handle that monitors the valve position. If the valve is not fully open, the student will have greater difficulty extinguishing the fire and a visual warning alerts the instructor. The time the valve was partially open is also displayed on the instructors display as well as the extinguisher discharge time. Infrared Nozzle Tracking – Some countries have strict standards when it comes to laser and other forms of radiation. Our nozzle tracking technology is based on inert infrared and no special precautions are necessary. Custom Fire Scene Creation – We recognize a true simulator should be able to simulate users’ equipment in flames. Digital images from any workplace can be downloaded into our Video Studio editor available on our more advanced models. Add fire or multiple fires to any background. Place fire in front or behind objects or inside containers. Burn anything! Multiple Difficulty Levels – A remote control for instructor intervention is unnecessary with our simulators insuring the student is in full control. Our hazard properties window allows adjustments to fuel flammability, reflash speed of the fire, effectiveness of the agent and discharge time. This yields fires that are always challenging without being frustrating. The instructor can signal at any time for the next fire to be successfully extinguished. Students would rather be entertained than trained and with a Pyrosoft simulator they have it both ways. Cruise Control – Don’t want to be changing the difficulty levels manually? Just engage the Auto Difficulty manager to adjust difficulty levels automatically behind the scenes and on the fly to reflect the desired extinguishing time the instructor chooses. If the students are taking longer than the desired time to extinguish the fire, the difficulty level is gradually decreased by the manager. Now the instructor spends more time with the student and less at the controls. Data Manager – Important data such as the current time, the seconds of discharge for the last attempt and the time the nozzle valve was not sufficiently open are displayed on the instructor’s screen and can be saved for record keeping purposes. Rich Powerful Sound – Each Pyrosoft fire simulator benefits from powered amplified stereo speakers that faithfully reproduce not only the sounds of the flames but of the extinguisher discharging too. We even thought of the workplace environment and additional sounds can be included by the user, compliments of a third audio track. Compressed Air Agent – The sound of a fire extinguisher discharging is sufficient for many but with Flashpoint and Flamescape simulators, compressed air can be added to increase realism. When the student discharges the extinguisher, the air is released through the nozzle simulating the effects of using an actual fire extinguisher. Virtual Firefighter – Many companies have professed the need for training with 2 students fighting the same fire. That is certainly a better technique of extinguishing fire than relying on a single person. So we added an optional second firefighter making this training a reality. The virtual firefighter can be tasked by the instructor to take the left, right or both sides of the fire. While the student is fighting their portion of the fire, the virtual firefighter is gradually taking care of their area. In the event of a malfunction, the firefighter can be called upon to complete the training without the class realizing there was a problem. Overriding the Result – There are times when the instructor may want to intervene to ensure a particular extinguishing result. Rather than normally pressing the ‘I’ key to ignite the next fire, pressing the ‘U’ key beside it will ensure the next fire is successfully extinguished. Pressing the ‘O’ key ensures the opposite result. Student Printed Record – Record keeping is always important and that is why we include the ability to add student names and assign the results to those names. At the end of the training, the list of names and results can be printed and stored with the employee’s other training records. Consumption Record – One of the benefits of a fire simulator is environmental. It saves fuel and extinguishing agent. The simulator keeps a running record of daily and total amounts of fuel that would have been burned and an agent that would have been discharged into the environment had the training been with actual fire. Splash Screen Customization – The splash screen that the students see prior to selecting the classroom or fire training grounds can be customized for the organization receiving the training and the instructor presenting it.